We saw this fabulous card case and pen set and just knew you'd want one for yourself. 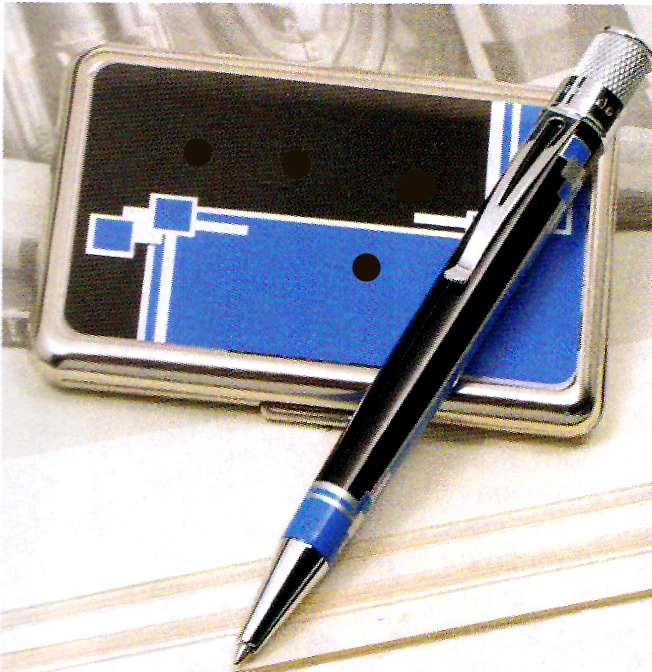 The blue and black design for the finish on both the case and ballpoint pen, look like they came from the studio of a 1930's jeweler. When you take these out of your pocket in a business meeting, everyone will know for sure what excellent taste you have. Case holds standard American business cards and the set comes in a presentation box.